Hot meals are delivered to homebound seniors unable to cook or shop for themselves. 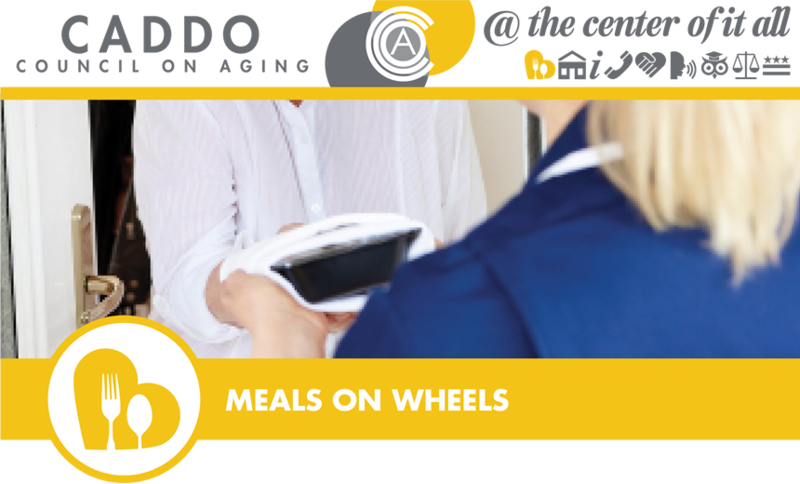 Meals On Wheels delivers OVER 1100 hot meals each day to the tables of our elderly neighbors in Caddo Parish who face a food shortage due to physical or financial hardship. But we’re MORE than food on the table! We’re a knock on the door that says there’s care and compassion. We shatter the isolation which starves the spirit like hunger starves the body. We’re a guard against undiscovered falls and injuries. At CCOA we combine the power of volume discounts and the manpower of volunteers and staff to reach otherwise vulnerable seniors with nutrition and hope. HELP US HELP A SENIOR! By donating or volunteering today, your help will insure that no senior adult goes hungry!